TGI Fridays Restaurant Kuwait, last updated on 2 November 2017 , is listed under American Restaurants category. It was added to Kuwait Directory Rinnoo.net on 7 Febraury 2013 . 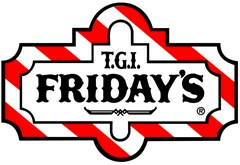 Pages of TGI Fridays Restaurant Kuwait on Rinnoo.net have achieved 238,251 views till now. Bringing people together to socialize and celebrate the freeing and liberating spirit of “Friday” was the concept’s founding premise, from which the brand promise “In Here, It’s Always Friday” was born. To share that social Fridays experience all over the world, TGI Fridays proudly serves guests with over 900 restaurants in more than 60 countries. The first TGI Fridays restaurant opened in New York City in 1965 at the corner of First Avenue and 63rd Street and quickly became the meeting place for single adults, with $1 million in revenues its first year.